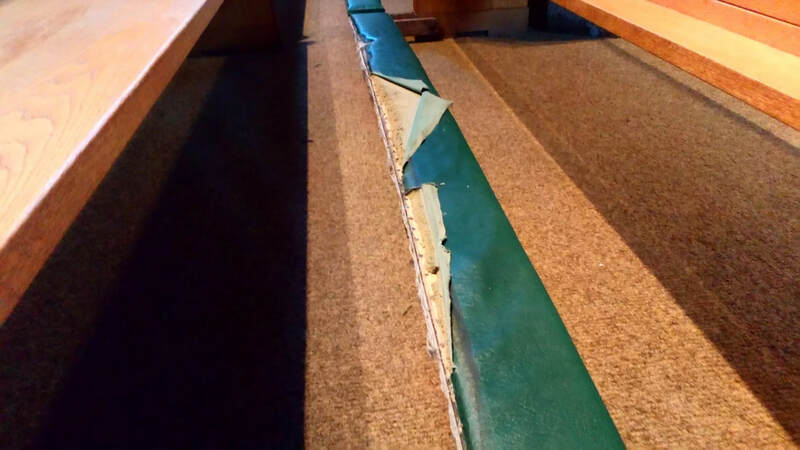 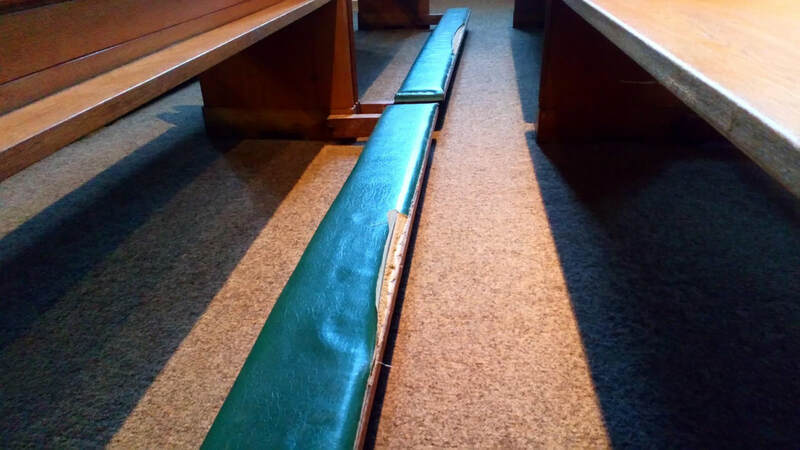 Below you'll see the picture of our worn out green kneelers, which have now been replaced by the brand new red kneelers - thank you to everyone who helped us to achieve this by donating money. 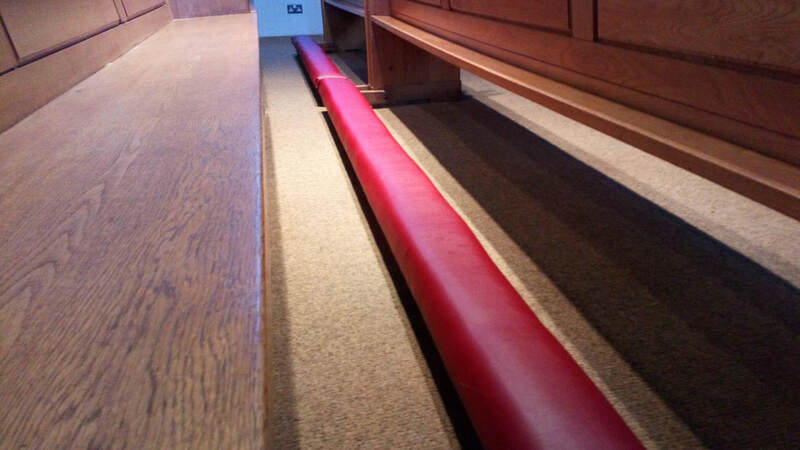 Now nobody will leave the church with knobbly knees! 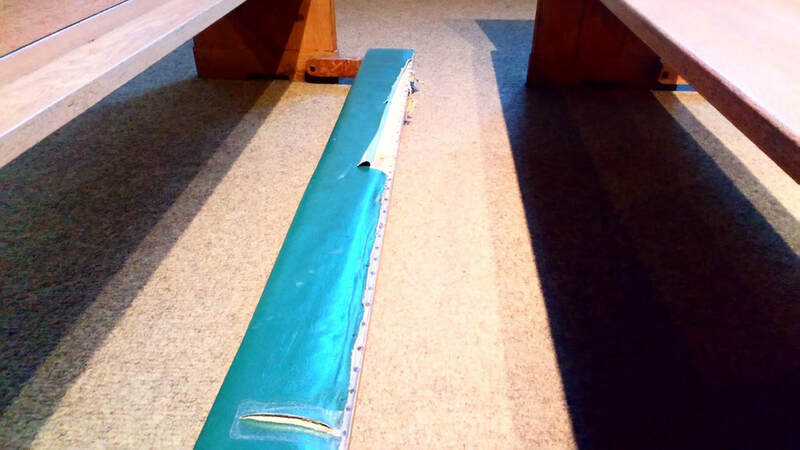 Our kneelers now, after their transformation. 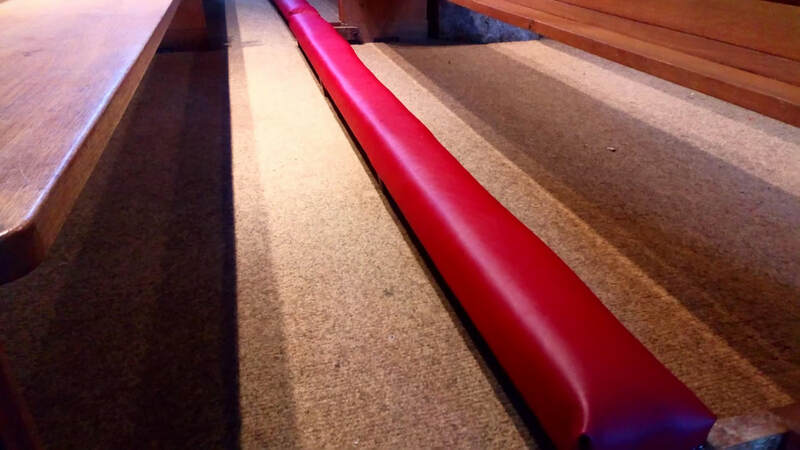 You can now pray in comfort without worrying about knobbly knees!